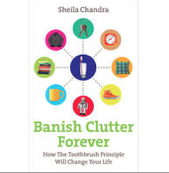 Sheila Chandra is the author of the ground-breaking and bestselling BANISH CLUTTER FOREVER (Vermilion, 2010), which is based on a fool-proof clutter control system she used for over 15 years to manage her busy home and office during her career as a pioneering World Music artist. Sheila's first single ‘Ever So Lonely’ (with her band ‘Monsoon’) was in the Top Ten around the world and she went on to release 10 albums including three on Peter Gabriel’s Real World label. However, she developed Burning Mouth Syndrome in 2010 which ended her singing career and limits the amount of time she can speak. Consequently, she became an author and describes her writing as her ‘voice’ now. She also began mentoring the (then homeless) street artist Stik in 2008, writing a version of her latest book ORGANIZING FOR CREATIVE PEOPLE (Watkins, 2017) just for him. Stik has gone on to become one of the most famous and collectible street artists in the world, and he wrote the foreword. 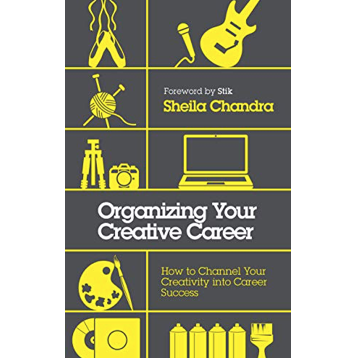 The book is an expanded version of her advice to him on how to build a strong infrastructure for his career and it topped the Foyles bestseller chart in August 2017. She also offers a creative career coaching and mentoring service. "So much financial anxiety, substance abuse and general bewilderment could be spared if this practical empathic advice was more widely available. 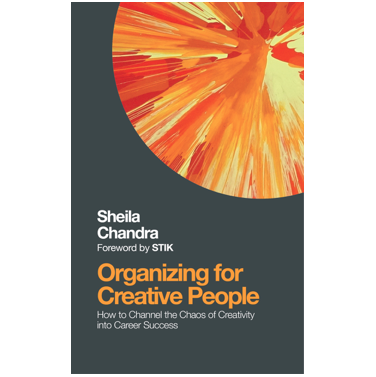 …offers the reader a highly intelligent consultation with a world-class artist [and] a map to building a solid foundation for your artistry."